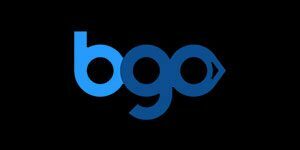 Bgo Casino will then reward you with a bonus (Welcome Bonus is for new players only). The terms and conditions of the bonuses vary between different casinos and might also change over time and between different countries, so it is important to compare the different offers and read the T&C for Bgo Casino before signing up. Having originally started out as an online bingo in 2012, BGO Casino (pronounced bee-go) has now become one of best casinos in the industry. You may recognize spokesman Verne Troyer who plays Mini-Me in the Austin Powers Films, but there’s nothing small about this site’s reputation. There are hundreds of games to play, however, the real talking point comes from the welcome bonus on offer. Unlike many other casinos, BGO Casino doesn’t have any wagering requirement on their free spins, so you can cash out whatever you win! Take a read of our review to find out why this casino is a real breath of fresh air! Rather than relying on one company exclusively for its software, BGO Casino is able to offer games from a variety of developers. These include NetEnt, Playtech, WMS, IGT, and many more. All titles can be played without the need to download any software too. Simply open up your favorite browser on your chosen device, and you’ll be spinning the reels in seconds. The only requirement is that you have the latest version of Flash installed. Games can also be played on mobile devices, with iOS, Android, and Windows all supported. One of the most impressive aspects of BGO Casino is its selection of slots. There are more than 500 on offer, so players of all types will be catered for. Unfortunately, there are no categories to make finding your favorite slightly easier, but it’s a joy in itself scrolling through all the fantastic titles available. Popular choices include Guns N Roses, Ghostbusters, Motorhead, Siberian Storm, and Twin Spin. Meanwhile, if you fancy the chance to win millions of pounds, try checking out the Jackpots section, where you will be able to find games such as Age of Gods, Cleopatra, Mega Fortune, and Gladiator. Away from the slots, all the table games are covered at BGO, so you’ll get the opportunity to play the likes of roulette, blackjack, baccarat, pontoon, and poker. In total there are 56 games to choose from. There is a whole section of the site dedicated to bingo if you fancy a change from all the usual casino games. There is also an opportunity to play games that feature a live dealer. In total there are 12 different studios, including roulette, blackjack, and baccarat. There are a handful of banking options offered at BGO, including Visa, MasterCard, Maestro, PayPal, Paysafecard, and Neteller. The minimum deposit limit is between £5 and £10 for most methods, and all transactions are processed instantly. In terms of withdrawals, the minimum is £20, and requests are handled within 12 hours of submission so it should take no longer than three days for funds to appear in your account. It should be noted that GBP is the only supported currency but then that’s because the casino primarily caters for gamers in the UK. If you need any help while using BGO, you will be able to receive it through various ways. Between the hours of 8:30 and 00:00 you can speak to an agent using the live chat option or the telephone number provided. If you find yourself requiring assistance outside of these hours, you can email the support team and they will get back to you as soon as possible. There’s also an address provided just in case you wish to write to the casino. Gamers that are more up to date with technology will be able to follow BGO on Facebook, Twitter, Instagram or Google + to keep up to date with all the latest news.